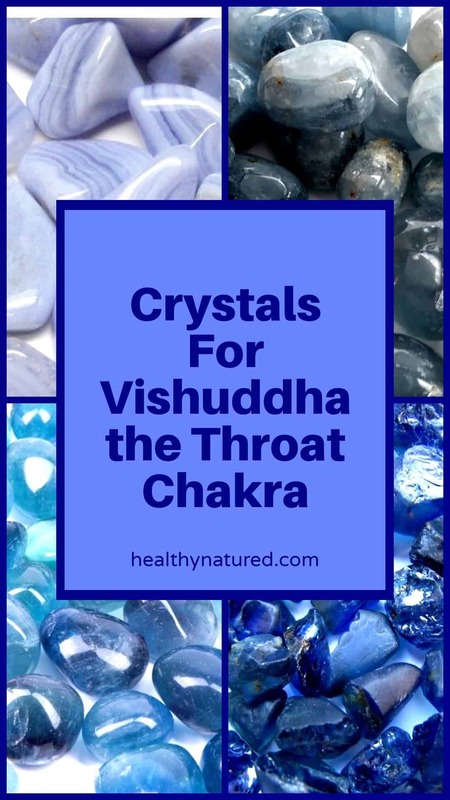 Vishuddha the Throat Chakra is our body’s fifth major chakra and the first of our spiritual or higher vibration chakras. 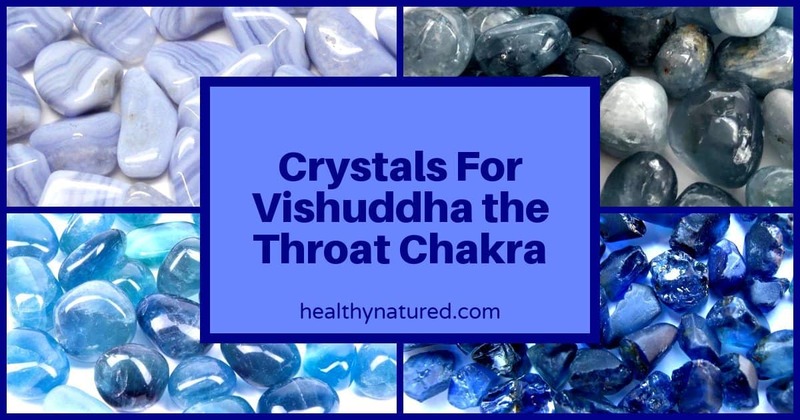 This post provides information about Vishuddha, it’s purpose, why we need a balanced chakra and the throat chakra crystals that help to open, balance and heal. 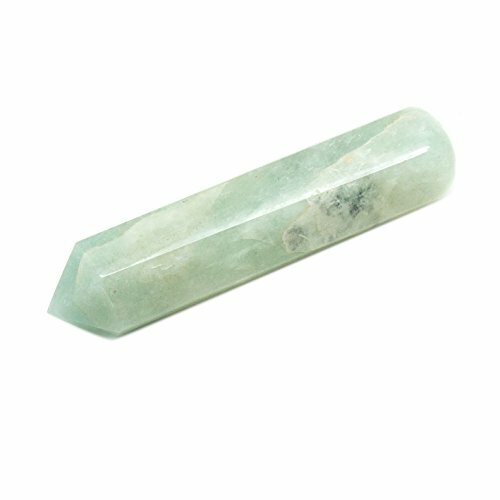 The energetic purpose of the throat chakra is to enable us to accept our individuality, our unique originality, to express our authentic voice and to speak our own truth. Vishuddha provides vibrations and energy that urges us to seek knowledge. It enables us to look beyond our circumstances and recognize truth beyond any conditioning from family, early life and past experiences. With Vishuddha open and aligned we move into an energetic space where we are able to express our own truth, recognize honesty and communicate our individuality positively and purposefully. Vishuddha is the energy of expression. Expressing our personal choice, showing willpower and acknowledging our right to speak and be heard. HealthyNatured – What Are The 7 Chakras? Personal Expression – Enables us to recognize our individual needs and to express our own truths with the ability to speak them in a way that we are heard. Communication – Enables us to communicate in all ways, verbal, non-verbal, externally and internally. Connection – As the first of the higher vibration chakras we begin to develop our personal connection with the spiritual planes. This connection also helps us recognize and accept our innate intuitive abilities. Individual Purpose – The Throat Chakra asks us to look beyond the expectations of others to discover our purpose and calling in life. Timing – The energies of Vishuddha enable us to know when to speak, when to stay silent. This chakra provides us our sense of knowing, knowing appropriate times to express ourselves in a way that ensures we are heard. 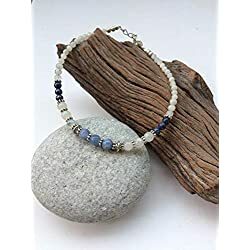 The throat chakra has natural energy connections with our second chakra, Svadhisthana the Sacral Chakra, which is the center of our emotions and creativity. 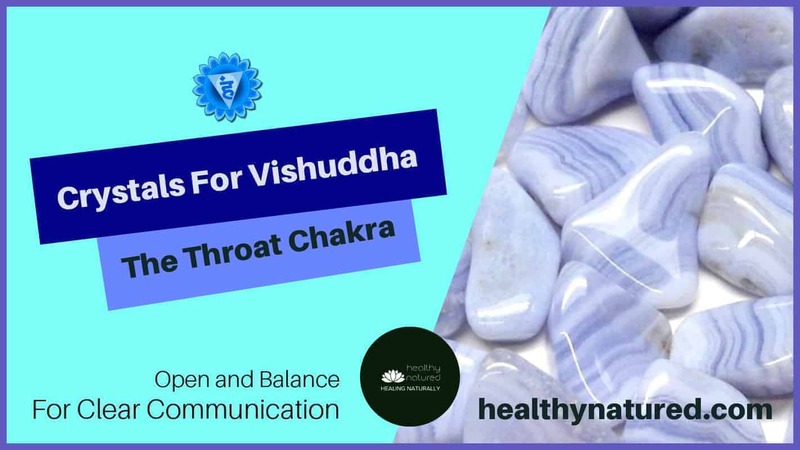 Vishuddha the Throat Chakra enables us to use the creativity and emotion of Svadhisthana and helps us express and project this creativity in a way that is authentic and truthful to us. 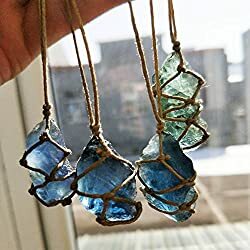 Another vital aspect of a balanced throat chakra is the energy that enables our connection to spirit and the higher vibrations of the universe. There are 2 types imbalance, each of them manifesting in different ways. If our throat chakra is not open, or blocked, it manifests by us developing feelings of insecurity, timidity, and introversion. We are afraid to express, or unable to recognize, our truth and mistrust our ability to express our authentic self. The opposite is having an overactive throat chakra. This leads us to manifest characteristics associated with overactive communication. This can be seen as gossip, nonstop talking, inability to listen and can even make us say inappropriate or aggressive things verbally. The Throat Chakra energy enables the ability to speak our mind and offer what we know to be our own personal truth. 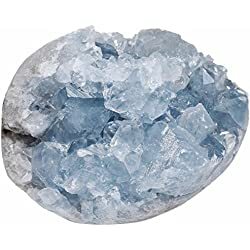 Aquamarine, as its name suggests, shares the qualities of water. 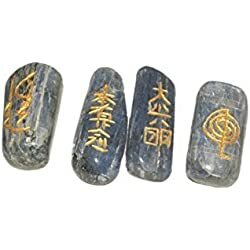 It is a stone that aides “cooling” and is best known for emanating energies which aide the cooling of heated emotions. 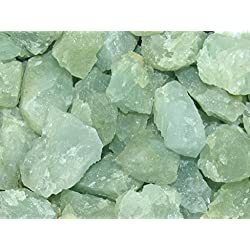 The crystal energy of Aquamarine acts like waves of water, washing away and clearing blockages and trapped emotions within the Throat Chakra. This clearing enables you to find your voice, and speak with confidence. It also encourages and aides speaking your unique truth in all communications. 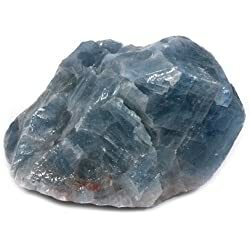 Blue Calcite is another of the throat chakra crystals and is wonderfully aligned to Vishuddhas purpose of honest and truthful communication. 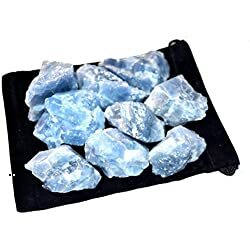 However the higher frequency vibrations of Blue Calcite make it more beneficial for connections with spiritual communication. It slowly opens us to our higher self so that we can receive insights and inspiration from the universe. 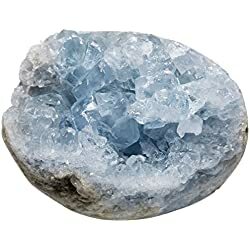 This is a very soft and gentle crystal energetically speaking. 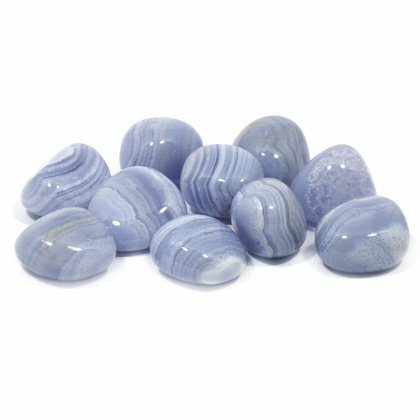 Blue Chalcedony is one of the throat chakra crystals that is wonderful for enabling communication of emotions. It works with our subconscious, enabling us to open up and recognize aspects of our life that we have shut off, or closed away. 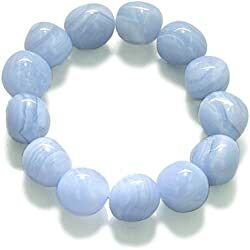 The Blue Chalcedony enables us to face truth in a safe way and helps us release pent up emotions to find inner peace. 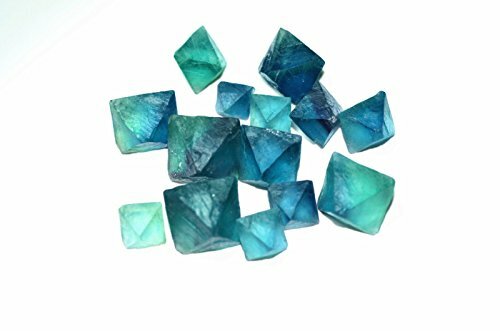 As with other Fluorite crystals, Blue Fluorite is excellent for mental clarity which then translates into clear communication. It is an excellent choice for when we wish to express our truth and personal beliefs in a way that portrays clearly personal honesty and integrity. It also enables us to communicate in a way that insists we are heard. Great for job interviews or pitching an idea at work! 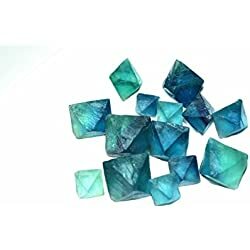 Possibly the best known and most popular of the Throat Chakra crystals. 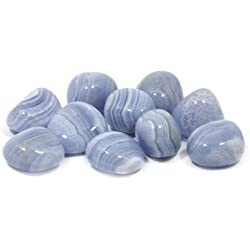 Blue Lace Agate improves communication on all levels whether it be physical, mental, emotional or spiritual. Its gentle energy balances our Throat Chakra. 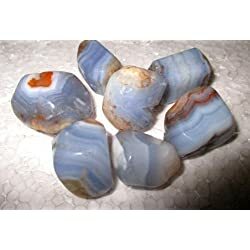 The Blue Lace Agate gives additional strength to Vishuddha and ensures that we communicate to the best of our ability when we need to. 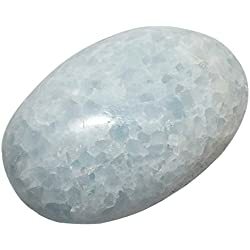 As with all Quartz, Blue Quartz is a strong all-around crystal, and brilliant for all our energy centers. 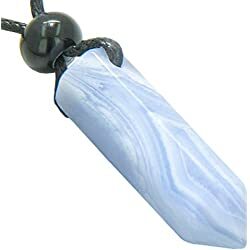 Specifically when used with the Throat Chakra it assists with developing spiritual communication. 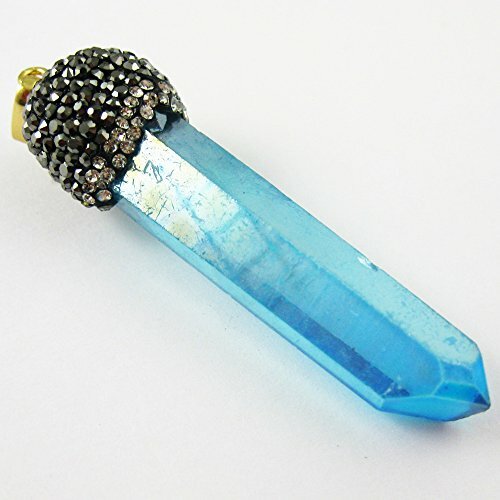 The Blue Quartz helps our inner truth and wisdom show and be evident in all our communications. 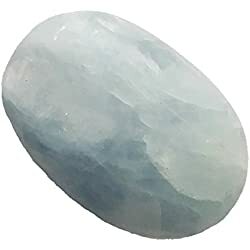 Celestite is a wonderful stone for spiritual communication. 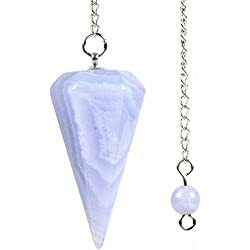 Its connection to the three higher vibration chakras and allows us to receive and understand spiritual information. 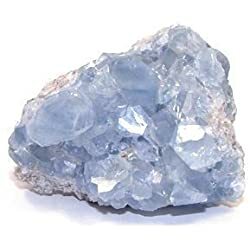 Celestite helps us express messages we receive from the universe and gives us a renewed sense of clarity. 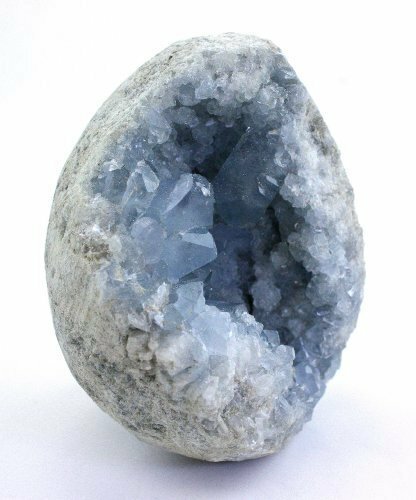 Celestite helps reminds us of our purpose and what we truly want to achieve in life. 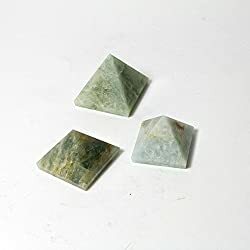 The striations on Blue Kyanite crystals act like energy paths and connect the Anahata the Heart, Vishuddha the Throat, and Ajna the Third Eye Chakra. 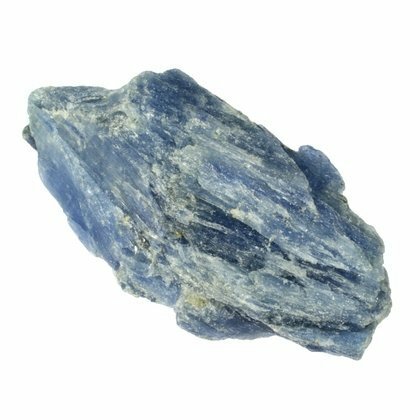 Blue Kyanite ensures that energy flows easily between them. 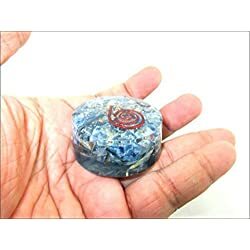 It also ensures that Vishuddha functions well and allows the energy of all our other chakras to be expressed. When the throat chakra is in balance and open, we can express what we really think and what we truly feel. 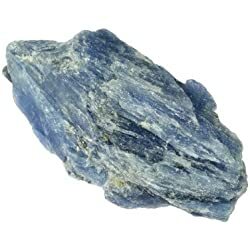 Blue Kyanite helps us clear blockages and ensures balance is achieved. 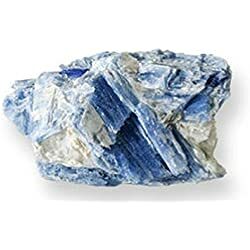 An energy conductor, Blue Kyanite aligns our chakras and strengthens our feelings of inner peace. 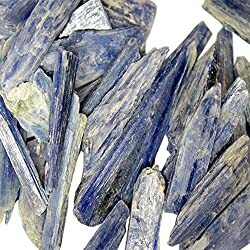 Blue Kyanite is one of the best Throat Chakra Crystals for enabling Vishuddhas energies of good communication. It helps us to bridge differences in beliefs and ideas, and ensures honest self-expression and the speaking of our truth. 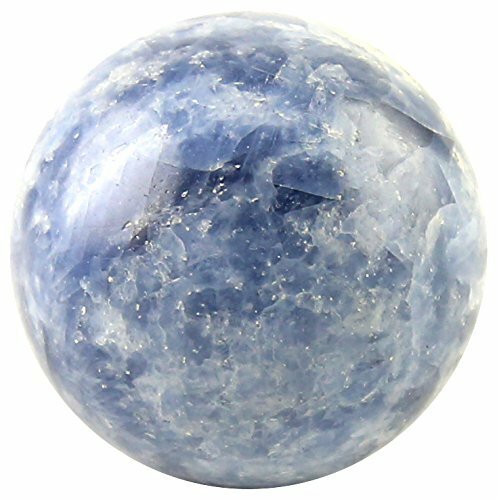 Sapphire is wonderful for opening and balancing our three upper,higher vibrational chakras (Throat, Third Eye, and Crown). 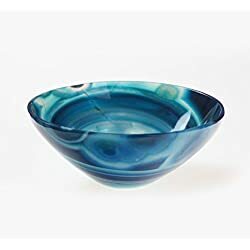 It aides clear and honest communications and helps us to calm and focus the mind. 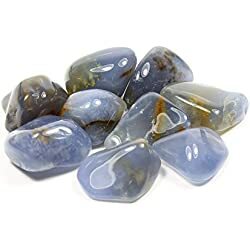 Blue Sapphire helps the Throat Chakra energy to release any mental tension and unwanted thoughts which aides in our maintaining a clear vision of what we want to achieve. 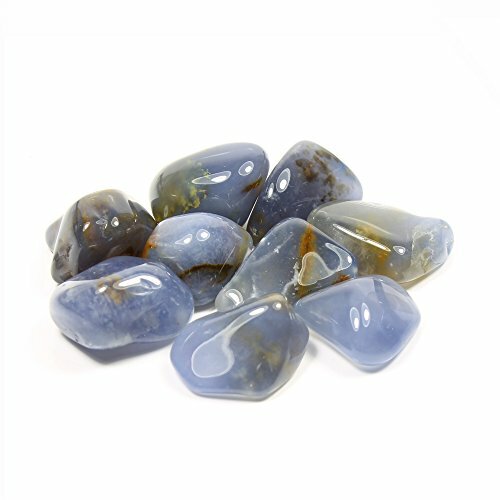 Blue Sapphire assists us if we fear we may be swayed by the opinions of others.